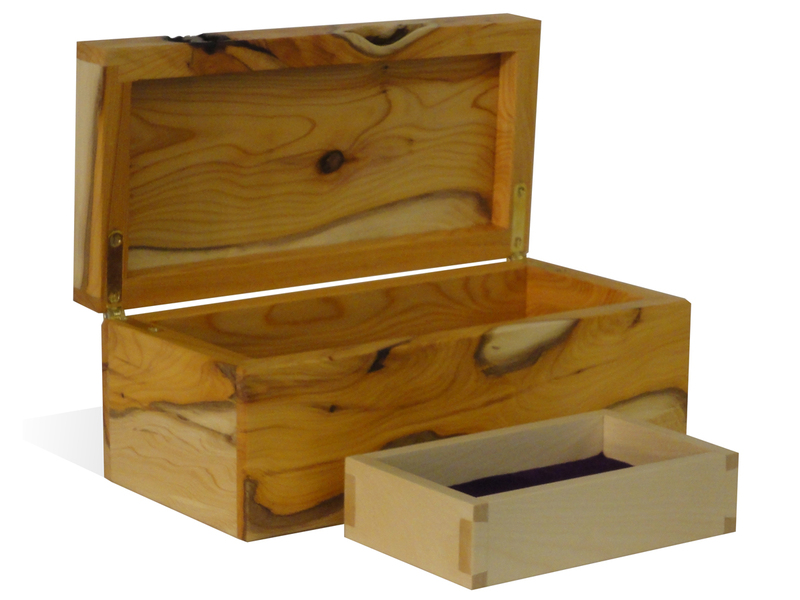 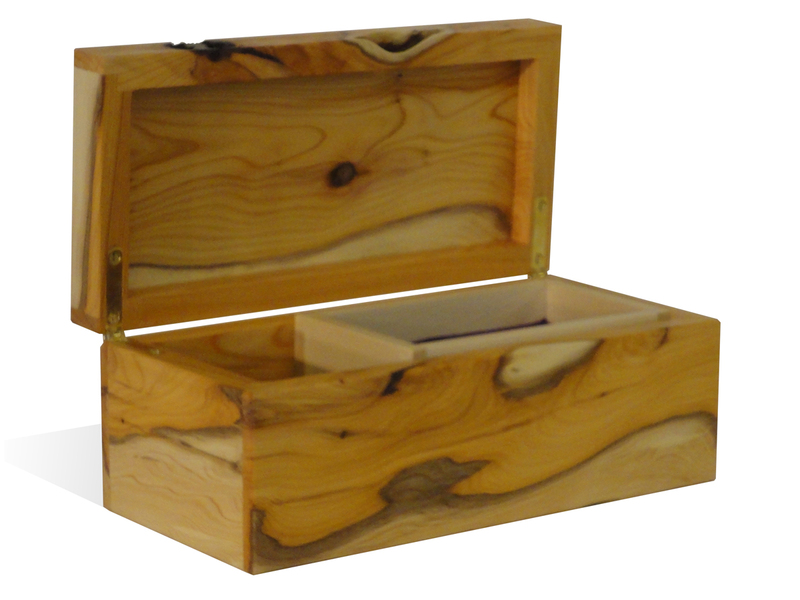 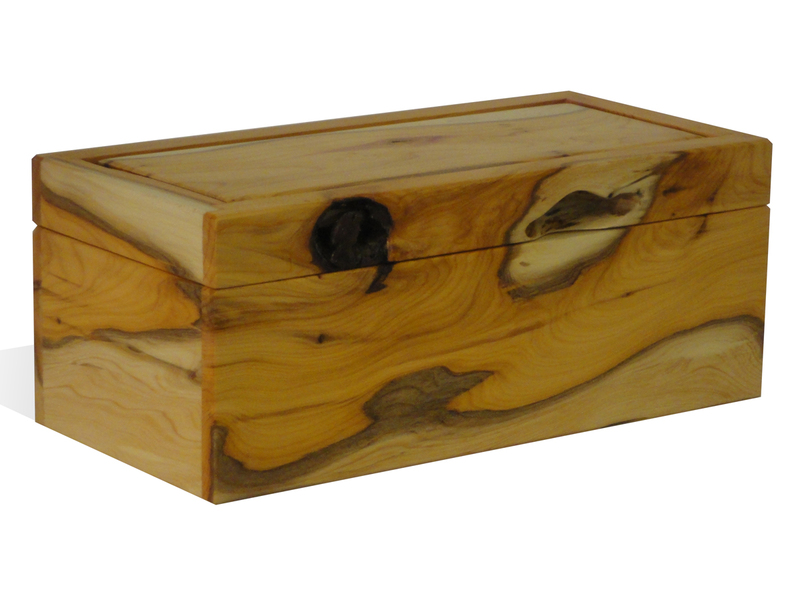 This jewellery box is made in locally grown English yew. 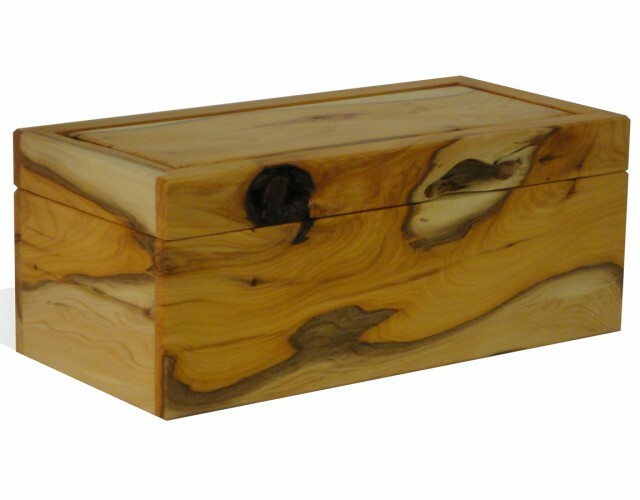 The simple form shows off the unique colours and swirling grain of this interesting timber. 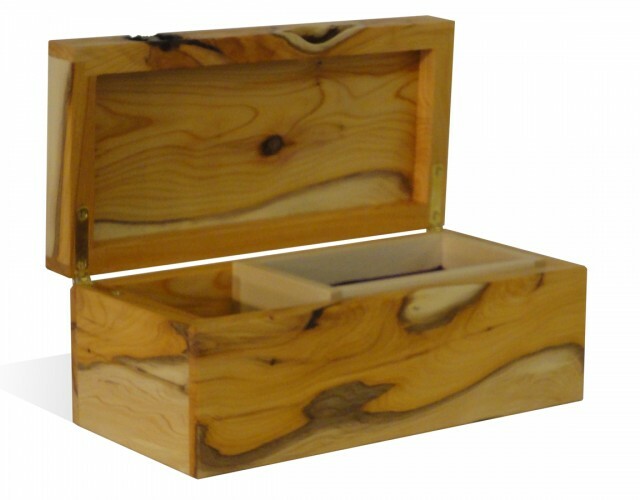 This jewellery box features a sliding tray, which can also be removed completely for easy access to the boxes contents. The tray is handcrafted in sycamore using hand cut dovetails which adds dedicated storage for smaller items of jewellery like earrings and rings, the pale sycamore complimenting the warm orange grain and creamy sap wood of the yew with the purple velvet giving the entire box a visual pop when opened.